Nico Rosberg and Daniil Kvyat have ended the first day of preparation for the 2015 Singapore Grand Prix as the fastest drivers in Friday Practice. 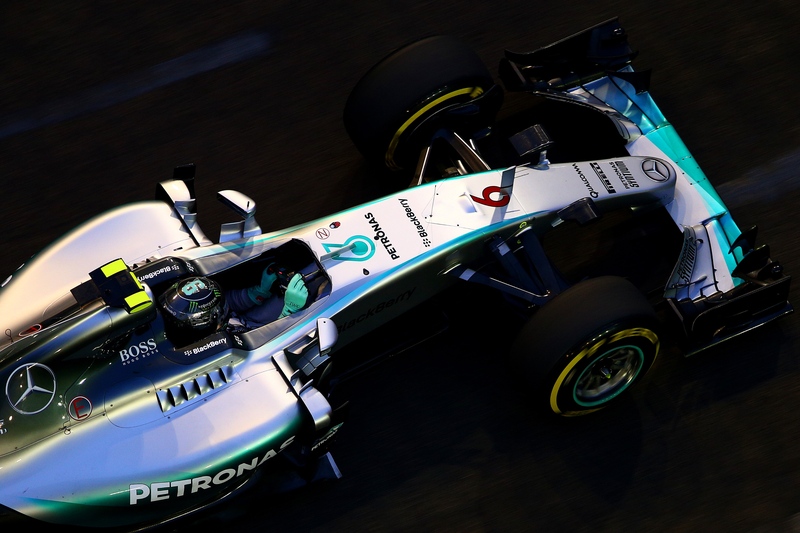 Rosberg topped the somewhat irrelevant daylight first session before Kvyat took to the top later on in the evening. Nico Rosberg ended the first session of practice for the Singapore Grand Prix as the fastest driver as the city of Singapore went from day-time to night-time. He ended the session 3 tenths clear of team-mate Lewis Hamilton; with the pair both under-going brake changes during the session. Both practice 1 and Saturday’s practice 3 take place during daylight/twilight hours; which means that a lot of running isn’t as useful as it could be in terms of finding performance for qualifying and the race that take place at night. Daniel Ricciardo was just a few hundredths of a second slower than Hamilton, with the Singapore streets providing the teams without the Mercedes engine grunt a chance to get well in the mix. His former team-mate Sebastian Vettel was just behind in 4th ahead of Kimi Raikkonen; with the Ferrari pair completing the list of drivers within a second of Rosberg in P1. Valtteri Bottas was 6th fastest in the Williams; which has struggled at Singapore in the past. This was highlighted by the fact that Valtteri’s team-mate Felipe Massa was all the way down in 17th. 7th fastest was Max Verstappen, who ended his first track-time on the streets of Singapore without any calamities in the Toro Rosso. 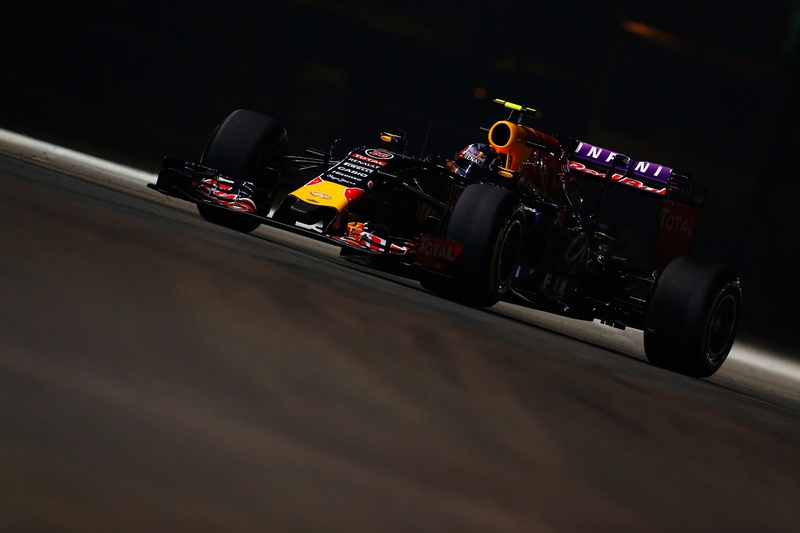 Verstappen’s team-mate Carlos Sainz was 9th, with Nico Hulkenberg splitting the pair in 8th. Completing the top 10 was Pastor Maldonado, who was 4 tenths faster than his Lotus team-mate Romain Grosjean in 14th. The Lotus cars are adorned with the ‘Xbox’ logo for this weekend; seemingly celebrating the launch of the Forza Motorsport 6 video game that features the Lotus F1 car. Alexander Rossi was behind the wheel of the Manor F1 car for the first time since the news of his signing broke a few days ago. He left the garage under the watchful eye of Roberto Merhi; who didn’t know that he wasn’t driving until he arrived in Singapore. Rossi ended the session 2 hundredths slower than team-mate Will Stevens; but he was in the wall after losing control of the rear of his car at turn 18. He hit the wall side-on and looked to have given the team a fair amount of work to do to get the car back out for FP2. Practice 2 saw slightly more representative conditions compared to what we would see in qualifying and the race. Night had fallen over the circuit for the start of the session that saw neither Mercedes represented in the top 3. Lewis Hamilton was the fastest of the Mercedes duo in 4th fastest, 3 tenths down on Kvyat and 3 tenths up on Rosberg who ended the session down in 7th. In between the Silver Arrows was the second Ferrari of Sebastian Vettel and the Force India of Sergio Perez. Fernando Alonso impressively put his McLaren-Honda in 8th at the end of the session; just 8 tenths off of Kvyat in 1st place. This clearly demonstrated the need for good aerodynamic and mechanical grip as opposed to top speed grunt that has proved so vital so far this year. Nico Hulkenberg and Max Verstappen completed the top 10. Alexander Rossi did manage to get back out on track after his crash at the end of first practice. He finished ahead of his team-mate Will Stevens following a crash for Stevens after just 2 laps.